Camryn Nelson and Erin Flynn were selected to be part of a development camp. 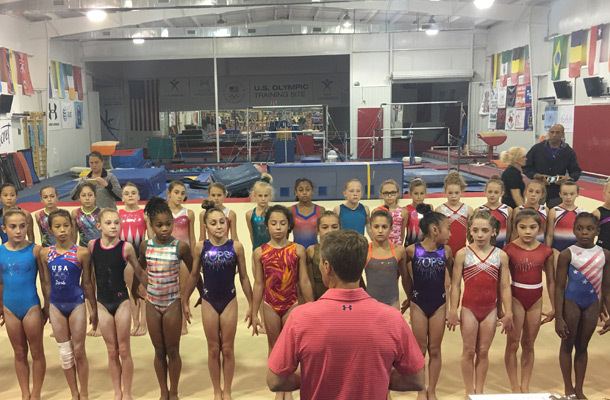 This is a camp for future elite hopefuls to learn the latest techniques from the national staff. This marked the first camp under the direction of Valerie Liuken. Liuken replaced Marta Karolyi after a long successful reign as USA women’s gymnastics head coach. Very exciting time for Will-Moor as head coach/owner Kim Bonus along with coach John Rameriz were there to coach Camryn and Erin. Not new to this level, Kim Bonus coach of Darling Hill (gold medalist Pacific Rim 2008), is familiar with what it takes to reach Olympic status. 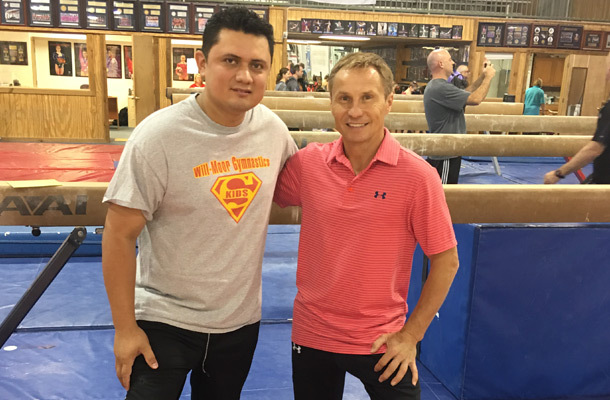 John Rameriz formal national team coach from Columbia is familiar with elite gymnastics as well. The girls had a fantastic camp learning new skills to prepare for the new code of points that will be in place for the 2020 games in Tokyo.